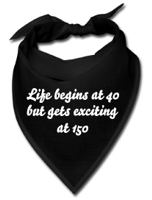 Are you looking for something a bit different for a birthday present for a Biker or Motorcyclist? 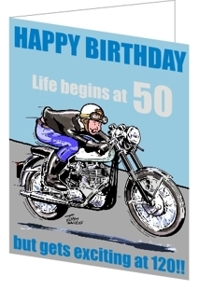 Use our TOP 4 guide to Birthday Presents for Bikers and Motorcyclists to help you. Now our best seller and moving into the number 1 position. Bikers and motorcyclists seem to have a special relationship with t-shirts, so our Biker-Gifts T-Shirt shop offers you a good selection of biker and motorcycle t-shirts in various colours and sizes. Always a firm favorite, these T-Shirts will bring a smile to any biker. but gets exciting at 150!! 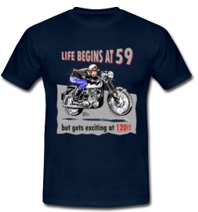 Choose from 12 different ranges of "Life Begins at" T-Shirts in 18 colours and 6 sizes. That's over 63000 variations all available for dispatch within 48 hours of ordering. 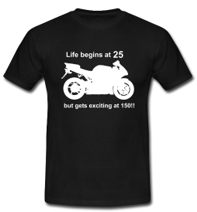 PLUS over 500 other T-Shirt ideas, so you are sure to find a good quality inexpensive gift for a biker's birthday. If you can't find what you want, then use our on-line designer and create your own!! 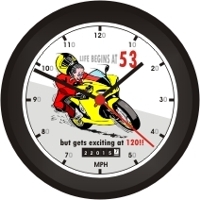 These clocks are just perfect for a motorcyclist's birthday present. Choose from either the superbike clock or the classic BSA clock. Available in plastic or pine. We print the date of birth on the odometer e.g. 220157. Just the job to keep your neck warm under your leathers - you need it when you get to this age! !